The kitchen can be dangerous due to hot appliances, sharp utensils, and open flames. Good lighting helps to keep everyone safe. The lighting in your kitchen is one of the most important parts. The kitchen can be dangerous due to hot appliances, sharp utensils, and open flames. Good lighting helps to keep everyone safe. The lighting can also set the tone for the design of the room. Follow these tips to take your kitchen lighting to the next level! Ambient- The ambient light will be the main source of light. Typically, it is one large fixture that will light the entire room without favoring any specific areas. You can have a lot of fun designing your ambient kitchen lighting. Task- The task lighting covers the more utilitarian light sources in your kitchen. The bright lights under your top cabinets that illuminate the counters or the light above the stove are both examples of task lighting. Task lighting in your kitchen drastically improves safety. Accent- Accent lighting doesn’t typically perform a specific task, but it highlights a particular area of the space that you want to highlight. Lighting the inside of cabinets or toe kick lights are two kinds of accent lighting. Your kitchen performs many functions, so your kitchen lighting will have to keep up. 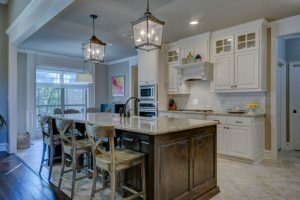 The ambient lighting will light the room well enough for you to navigate and perform simple tasks like washing your hands or tossing some leftovers into the microwave, but other tasks require more light. This is where your task lighting will come in. Task lighting is typically found over the sinks and food preparation spaces, such as the island, counters, and stove. Many homeowners will have dimmer accent lighting if the kitchen is an open concept with the living room. This way, you can just leave on the accent lighting so someone can walk through the kitchen but it won’t disturb everyone who is watching a movie in the living room. Are you looking for a quality electrician in Maryland, Washington DC, Southern Pennsylvania, or Northern Virginia? 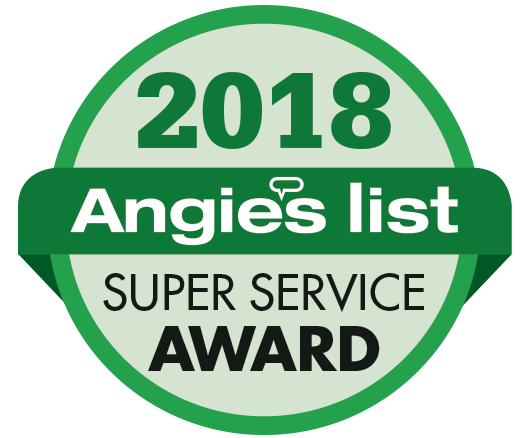 Take a look at TriStar Electric’s online reviews and ratings on Angie’s List, Yelp, Google, Facebook, Better Business Bureau of Greater Maryland, and Better Business Bureau Greater Mid-Atlantic. You can also follow us on Facebook, Twitter, Google+, LinkedIn, Pinterest, and YouTube! This entry was posted on Thursday, February 7th, 2019 at 5:05 pm. Both comments and pings are currently closed.